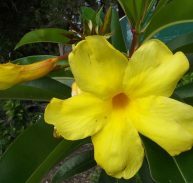 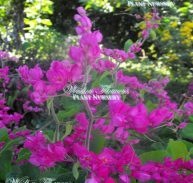 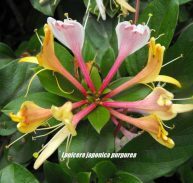 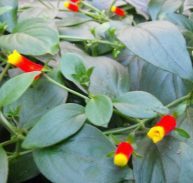 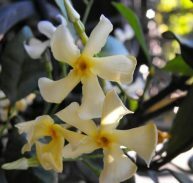 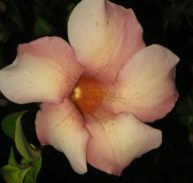 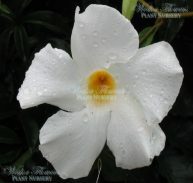 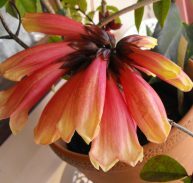 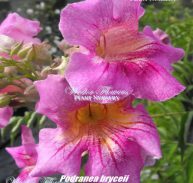 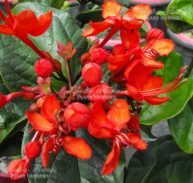 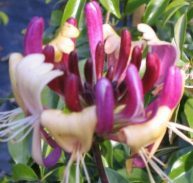 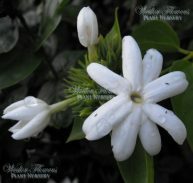 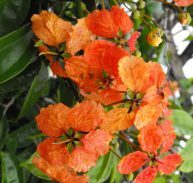 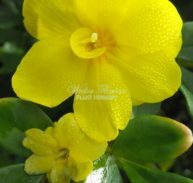 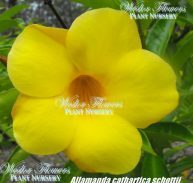 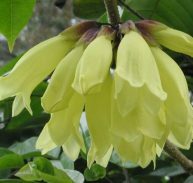 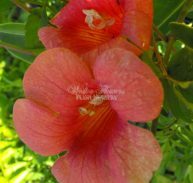 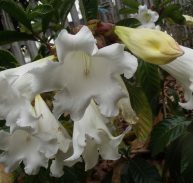 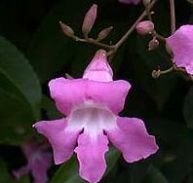 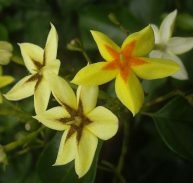 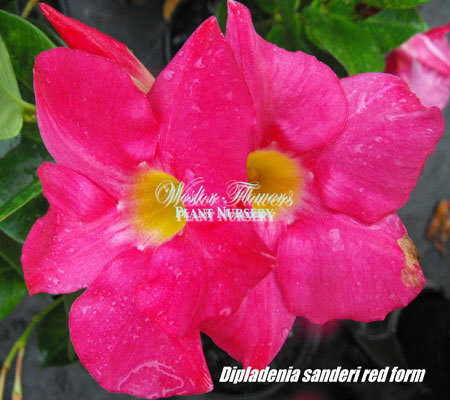 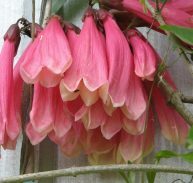 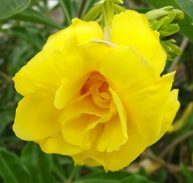 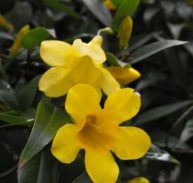 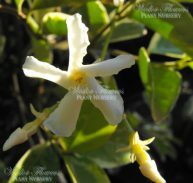 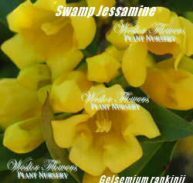 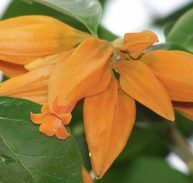 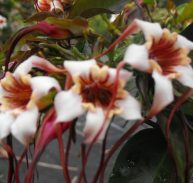 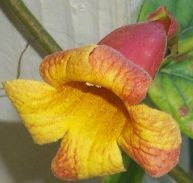 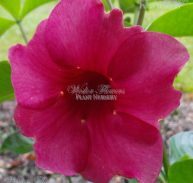 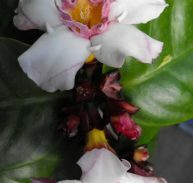 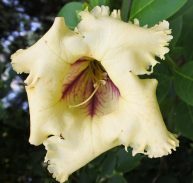 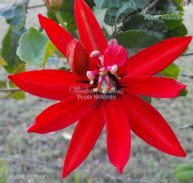 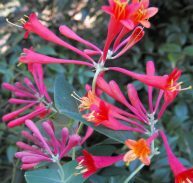 Dipladenia sanderi originates southeast Brazil and is also known as Red Riding Hood and is an evergreen climber with dark green glossy foliage and clusters of deep red trumpet shaped flowers with a golden throat. 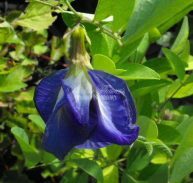 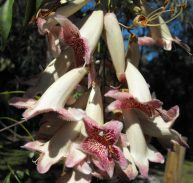 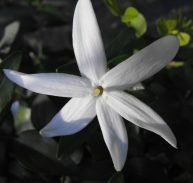 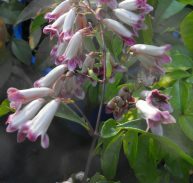 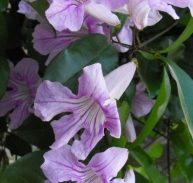 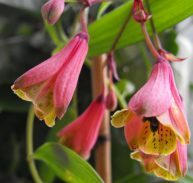 It prefers sun for best flowering but will take dappled shade. 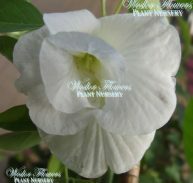 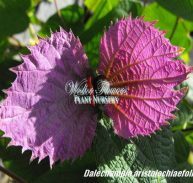 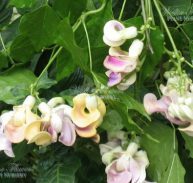 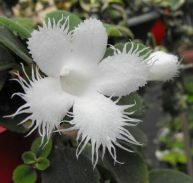 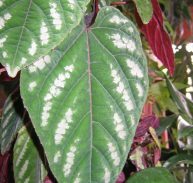 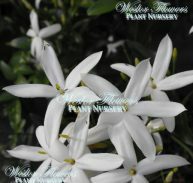 It likes and needs well drained moisture retentive soil and adequate moisture, but can survive short droughts. 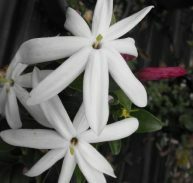 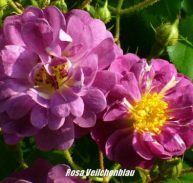 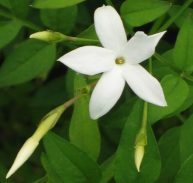 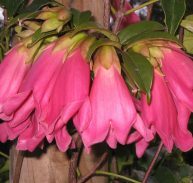 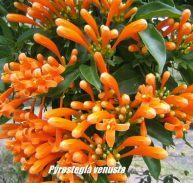 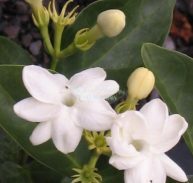 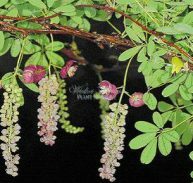 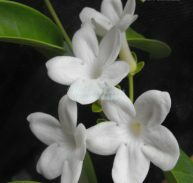 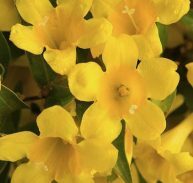 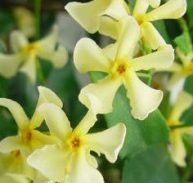 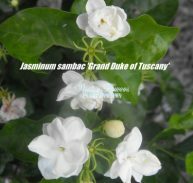 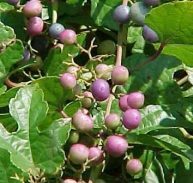 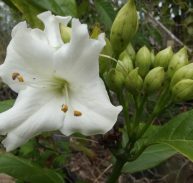 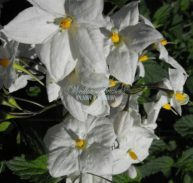 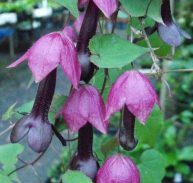 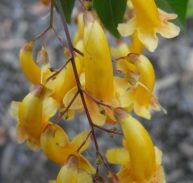 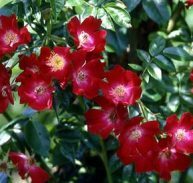 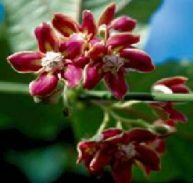 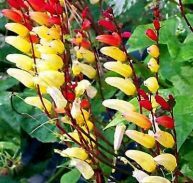 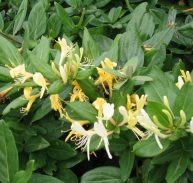 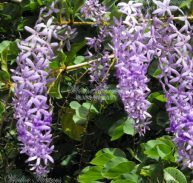 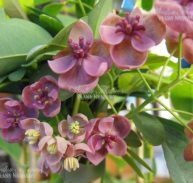 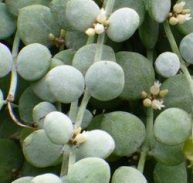 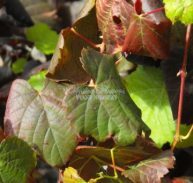 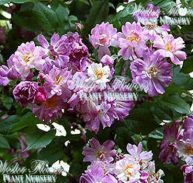 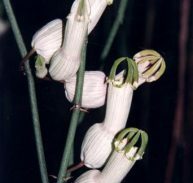 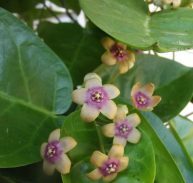 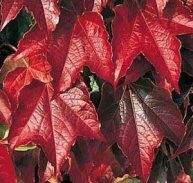 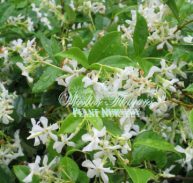 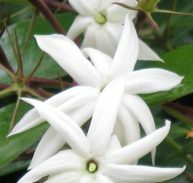 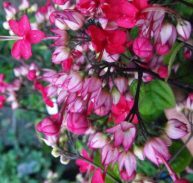 It is ideally suited to pot culture and can be kept pruned to form a bushy shrub like plant that flowers for most of the year. 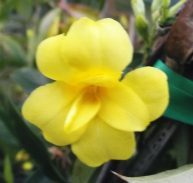 Dipladenia is moderately salt tolerant and can be planted behind the first line of dunes or similar protection. 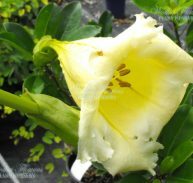 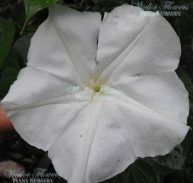 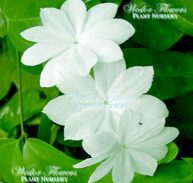 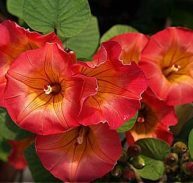 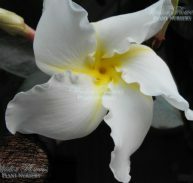 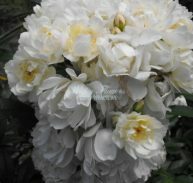 Apply liquid fertilizer periodically during summer and you will be rewarded with big beautiful flowers.